A new year comes with new beginnings and err… new pet products too. 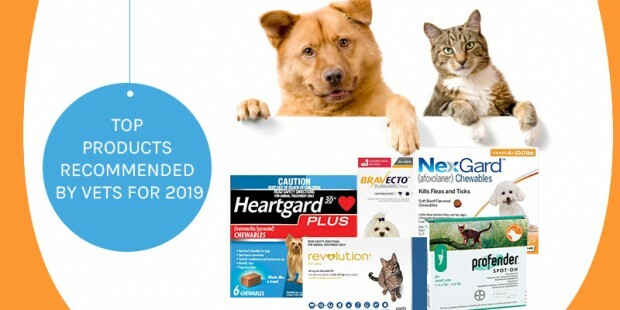 Vets all across the globe have recommended products for pet parents for the year 2019. We have made a list of them so that you can have a clear idea about all the recommended products. Vets believe that the below-mentioned products should be used by pet parents all across the globe. What It Is? – A broad spectrum parasitic preventative spot-on that effectively eliminates multiple parasites roundworms, hookworms, and whipworms and at the same time kills and treats adult fleas and sarcoptic mange. What It Is? – These chews are one of the most effective and easy treatment of fleas and ticks (12 weeks protection). This oral treatment starts showing effectiveness within 2 hours of administration. 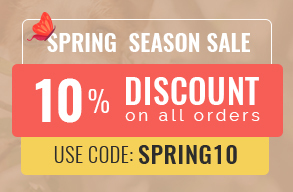 Bravecto is also useful in getting eradicating and controlling American dog ticks, black-legged ticks, brown dog ticks (12 weeks protection) and lone star ticks (8 weeks protection). What It Is? – Natures Answer Glucosamine tablets for dogs are an excellent and nutritious joint care supplement. It does not only help to maintain healthier joints but also provides relief for problems such as arthritis, inflammation, and repairs bone cartilage. What It Is? 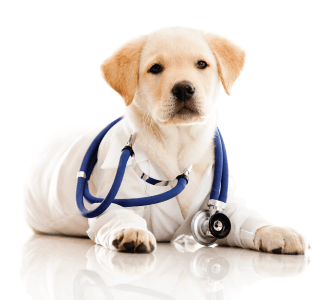 – If you are seeking any heartworm preventative then Heartgard Plus is the solution. This highly effective oral chews aids in eliminating heartworm larvae and prevents dogs from the dreaded heartworm disease. Heartgard Plus is also useful in destroying hookworms and roundworms. What It Is? – Joint Guard, as the name suggests, effectively shields your canine’s joints from getting damaged. This powerful powder not only manages to strengthen the joint muscles but the bone cartilage as well. It also helps in repairing wounds and injuries. What It Is? – To eliminate intestinal worms in cats, vets have recommended cat parents to opt for Milbemax. It is a potent oral de-wormer that not only efficiently kills intestinal worms, but also protects your cat from it. Milbemax is also helpful in protecting cats from the harmful heartworm disease. What It Is? – Beef flavoured chews that are regarded as one of the best and simplest ways to get rid of adult fleas and ticks. These chews disrupt the parasites’ nervous system and paralyze them before thoroughly killing it. The month-long effective treatment prevents future infestations as well. What It Is? – An efficient single topical treatment that assists in getting rid of various types of worms in cats has been highly recommended by vets worldwide. It mainly strives to eliminate and protect cats from tapeworms and hookworms. Profender helps in first paralyzing the worm, killing it and then passes it out in the feces. What It Is? – An extremely must have product if your cat suffers from internal or external worms. Its other uses include heartworm prevention, flea infestation prevention, chewing lice and mites treatment, flea eggs, and larvae elimination. What It Is? – Skin and Itch Relief is a wonderfully crafted homeopathic formula that protects dogs from excessive itching, scratching, hair loss, skin problems, and aids to maintain the proper condition of the fur coat. Since it is a homeopathic product, there is no side effect which means it is suitable for all types of dogs. Vets have made their pet care product recommendations and it is up to you and your local vet whether or not you want to opt for these products or any other ones. Make sure to keep your pet safe by using the preventative mentioned (or any other ones) so that your pal is free from any diseases and you are free from headaches.